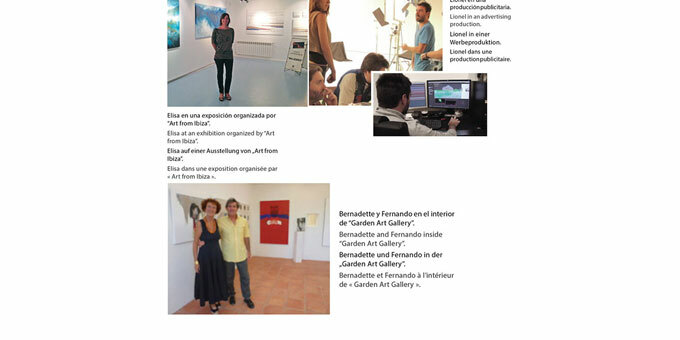 In 2013, in the midst of the economic crisis, the Jiménez Chapu family decided, in spite of dire predictions and going against the current, to encourage the art scene in Ibiza, creating a website and after that an art gallery. It all began in Paris in 1972. Bernadette Chapu, a Parisian who descended from a family of antique dealers in the city, had studied History of Art and Museology for five years and was directing an art gallery. 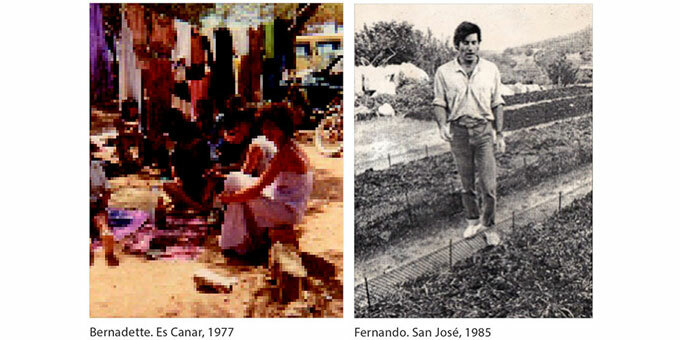 On the other hand, Fernando Jiménez from Cáceres was also in Paris finishing his French Filology studies at the Sorbonne and worked as a photographer for the French Ministry of Land Planning. Bernadette and Fernando met at the party of a common friend who introduced them, and that is when their romance began. Over the next years, while Bernadette was in charge of the gallery, Fernando started to work for agencies like Rapho or Sipa Press, travelling constantly around Europe, Northern Africa and the Middle East. And so their lives went until something happened that changed their course: in 1975, one of Fernando’s brothers bought a house in Ibiza and stayed to live on the island. As he felt it was absolute paradise, he invited Fernando and Bernadette over and they spent a month on Ibiza, after which they returned to Paris but all they wanted was to go back to the island. So in spite of their busy lives, they finally took the decision to leave it all behind and set up home, a year later, on the land that had captured their hearts. They rented a rural house near Sant Agustí, without electricity nor water, had a small vegetable garden and some animals. They had decided to change their lifestyle completely, and only Fernando continued working for agencies like Europa Press between 1977 and 1978. To earn a living they started going to Es Canar market and selling objects they made themselves. In 1978, another life-changing event occurred: the birth of their two twins, Elisa and Lionel. This encouraged them to buy a house to settle into and begin a new business breeding earthworms and making compost with them. Over the years they created the first cacti and succulent plant nursery on the island. Fernando had left aside his work as photographer, although their house parties were always attended by one or another of their artist friends. In fact, as Elisa and Lionel grew up, both of them decided to go into fine arts. In 1997 Elisa went to study Visual Arts and Communication in Valencia, specialising in graphic design, while Lionel went to Madrid in 1998 to study Audiovisual Production. The connection of the whole family with the arts scene was more than evident. In 1999 Elisa came back to Ibiza to work at a graphic design company. Lionel on the other hand lived away for a few more years. It was not until 2010 that Fernando took up photography again, although in a totally different way as this time he was into abstract photography. He has been exhibiting his works since 2011. However, at a 2012 family meal, they discussed how artists were scared because many galleries were closing down. This gave way to the idea of creating a virtual art gallery to offer them support and at least one place to exhibit their works, even if it was not a physical space. This idea came to being in 2013. 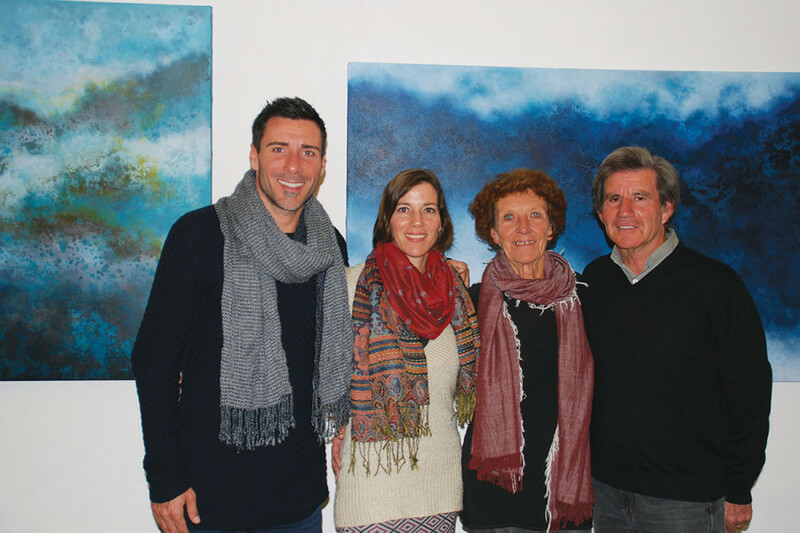 Bernadette, Fernando and Elisa created the website “ArtFromIbiza.com” which was specifically aimed at abstract art. Also, now and again Elisa organised collective exhibitions for the artists on their website. 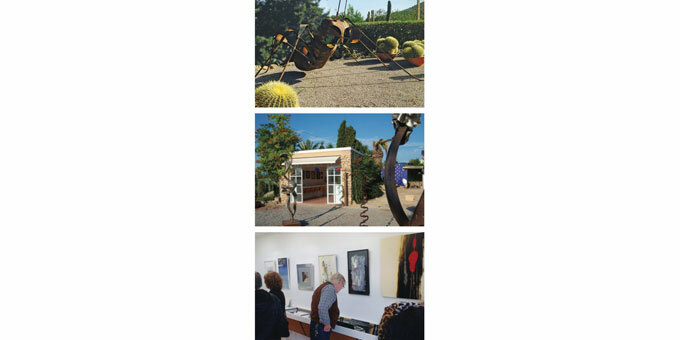 And in order to offer a more complete service, in 2014 Bernadette and Fernando restored an old barn at their rural house in Sant Josep and created there an abstract art gallery called “Garden Art Gallery”, located next to an old threshing circle, surrounded by nature and sculptures dotted around a garden of magnificent cacti.